Welcome to the maiden online issue of PISIKA. PISIKA is a bi-annual online journal that was conceived to provide physicists and physics educators, both from the Philippines and abroad, an accessible reference and online resource. 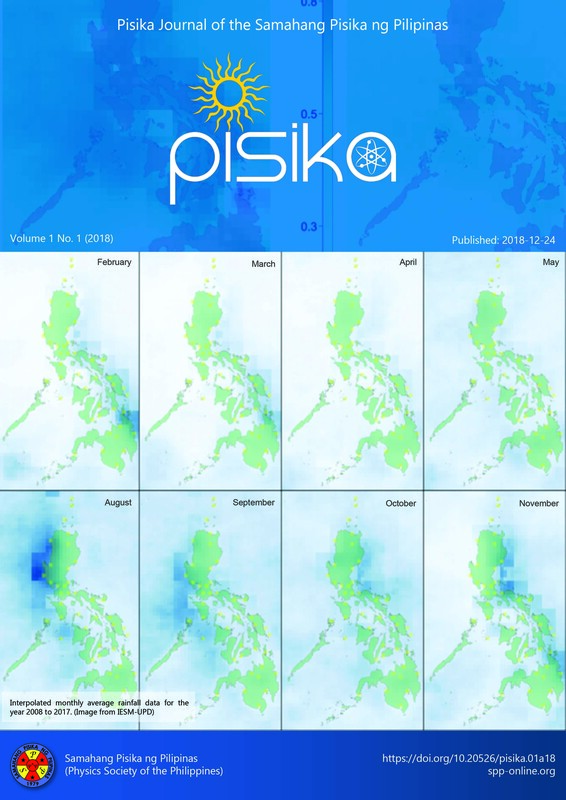 The name “PISIKA” pays homage to the quarterly journal previously published by the Samahang Pisika ng Pilipinas (SPP), which was launched in October 2007. With this online journal, it is hoped that the dissemination of research output and sharing of scientific knowledge will be more expedient. The articles appearing in this issue are select, peer-reviewed papers presented during the 36th SPP Physics Conference held in Palawan, Philippines from June 6 to 9, 2018. In the future, this online journal will welcome submission of articles from the following research fields: astrophysics and atmospheric physics, complex systems, computational physics, condensed matter physics, instrumentation physics, lasers and their applications, liquid crystals, materials science, mathematical physics, optics and photonics, physics in medicine and biology, plasma physics, signal and image processing, theoretical physics, and physics education research, among others. On behalf of the interim Editors-in-Chief, I would like to thank the members of the advisory panel and topical editors composed of experts in the fields of Photonics, Material Science, High Energy Physics, Computational Physics and Plasma Physics. PISIKA, as the Philippines’ first online physics journal is a testament to their invaluable contributions. Monthly averaged Tropical Rainfall Measuring Mission (TRMM) satellite images for the years 2008-2017. See article by Archie Ilarian Veloria and co-authors, DOI: 10.20526/pisika.01a18.01. Cover art by Miguel Y. Bacaoco.